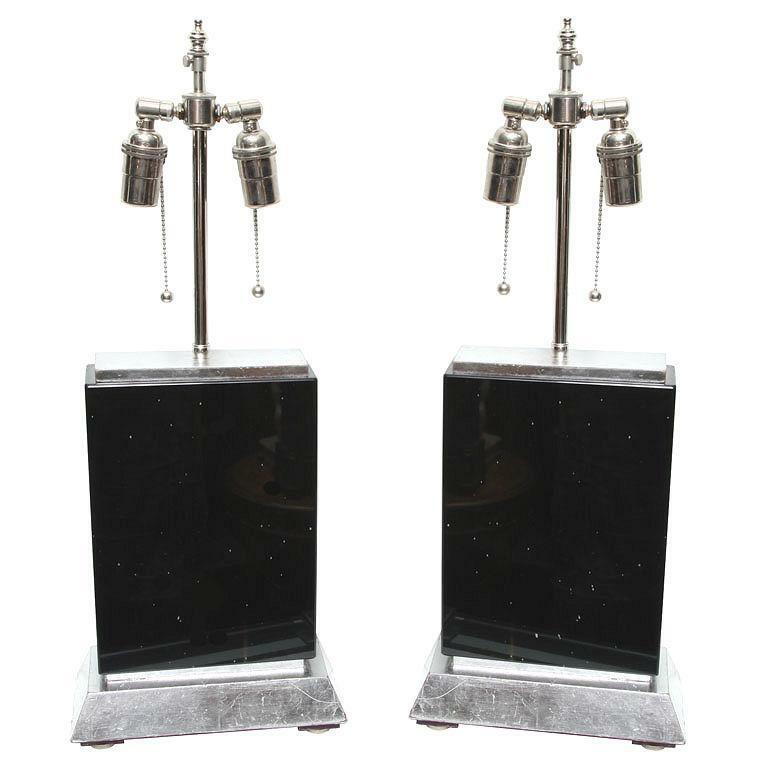 This pair of lamps is crafted from solid blocks of obsidian, and features silver-gilt pedestals and stainless steel lamp hardware. 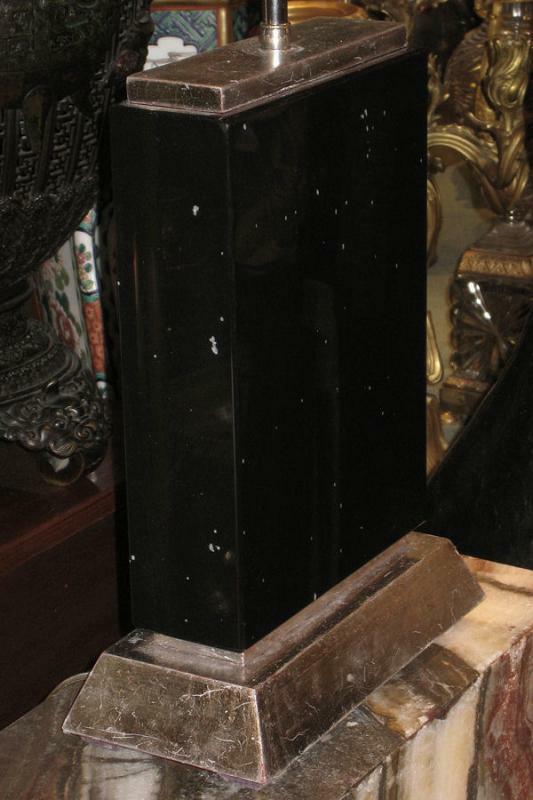 There is noticeable wear to the gilt finish, scratches and dings. 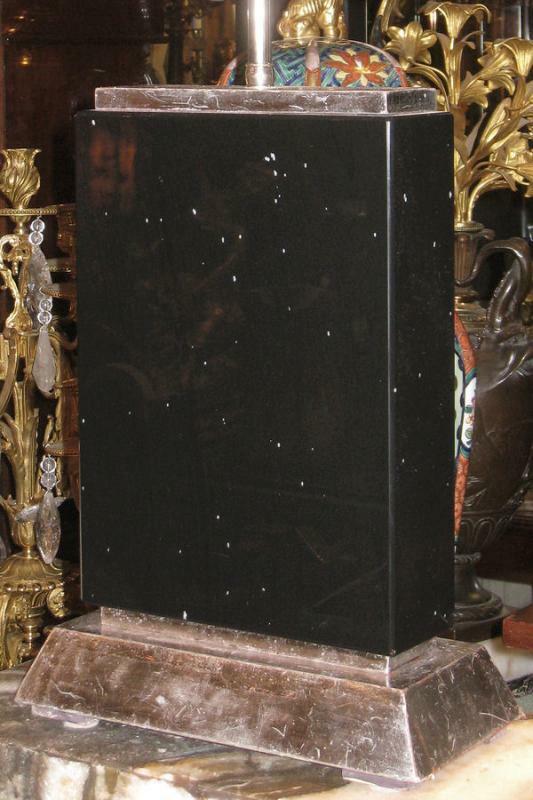 There are white inclusions in stone. 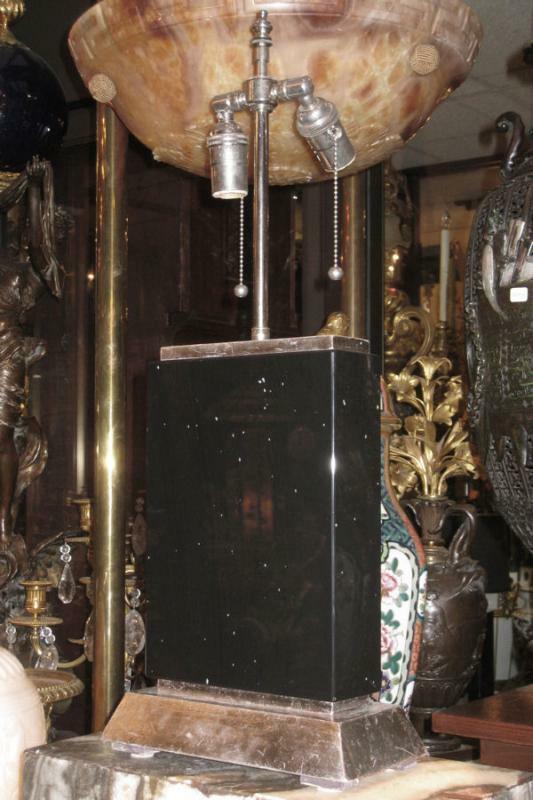 Designer and manufacturer are unknown. 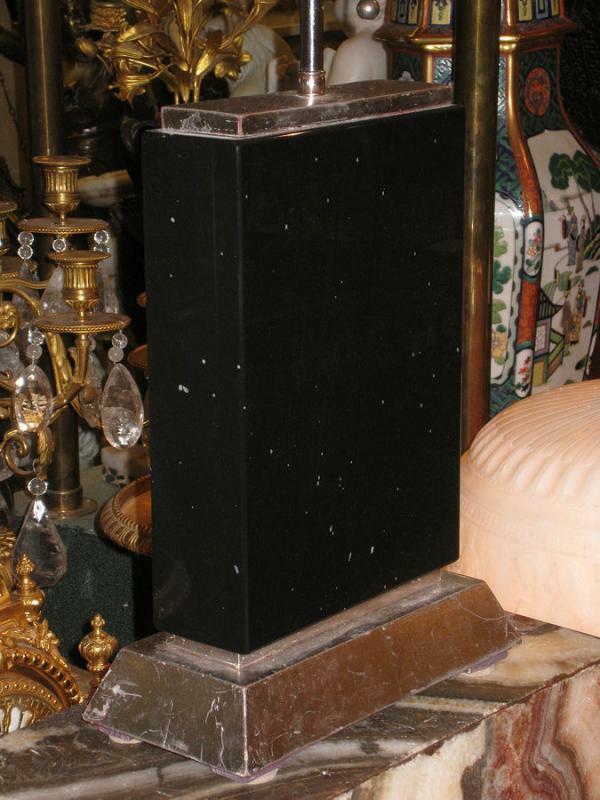 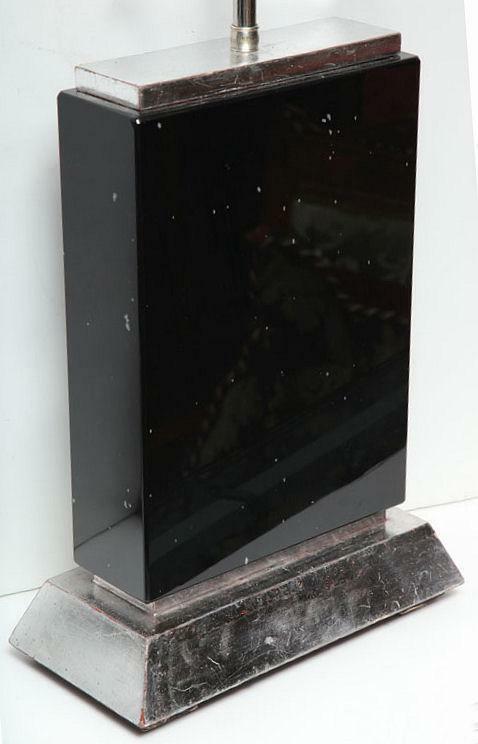 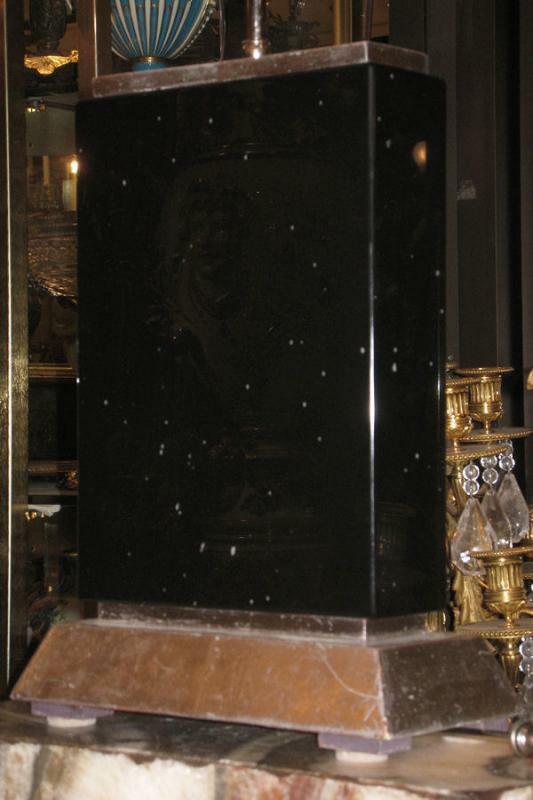 Measures: 25" x 9.5" x 5"
Items Similar To "Pair Modern Black Obsidian Stone & Silver Gilt Table Lamps"